Stress UI is urine leakage occurring when the intra-abdominal pressure exceeds the urethral pressure, such as coughing, straining, laughing, or lifting. The impaired urethral support is most often due to weakness of the pelvic floor muscle. 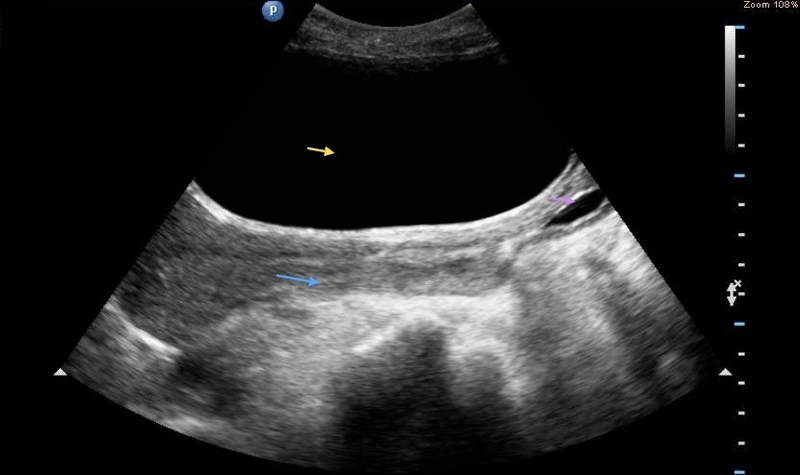 Urge UI describes an overactive bladder (detrusor hyperactivity), which leads to uninhibited bladder contraction, leading to a rise in intravesical pressure and subsequent leakage of urine. Such overactive bladder may be due to neurogenic causes (such as a previous stroke), infection, malignancy, or idiopathic. Medication, such as cholinesterase inhibitors, can also result in urge UI. Mixed UI is a combination of stress UI and urge UI. 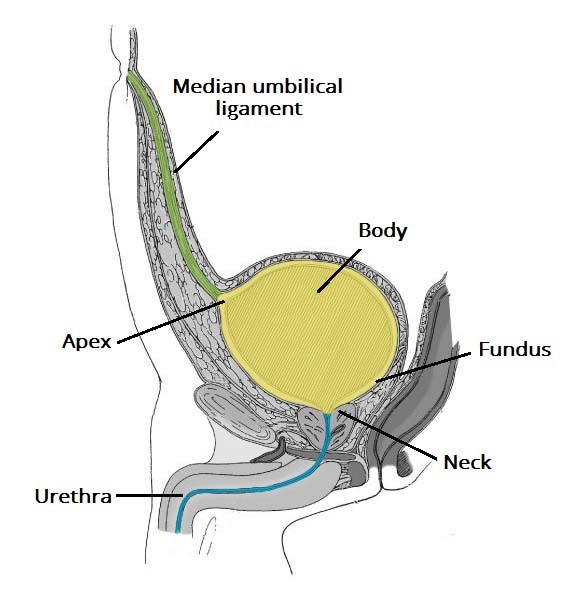 Overflow UI is normally a complication of chronic urinary retention, whereby the progressive stretching of the bladder wall leads to damage to the efferent fibres of the sacral reflex and loss of bladder sensation. As the bladder fills with urine, it becomes grossly distended however intravesicular pressure builds, leading to a constant dribbling of urine. The most common cause is from prostatic hyperplasia, however other causes include spinal cord injury or congenital defects. Continuous UI is the constant leakage of urine, meaning the patient is wet all the time. This is typically due to anatomical abnormality (such as ectopic ureter) or bladder fistulae (e.g. vesicovaginal fistula), however may also be due to severe overflow incontinence. A detailed clinical history can allow many cases of UI to be categorised on the first visit. Other symptoms (e.g. dysuria or haematuria), precipitating factors, past medical and surgical history, and drug history will all aid in patient work-up. Patients should be asked to keep bladder diaries, which can aid in the delineation of the underlying cause. QoL questionnaires (such as ICIQ, BFLUTS, I‑QOL) can aid in quantifying severity of the condition. Examination can aid in assessment of potential underlying causes, such as an enlarged prostate, prolapse, or any fistula opening. All patients should have a midstream urine dipstick performed, assessing for evidence of infection or haematuria. Post-void bladder scans should also be performed routinely, especially in those suspected of overflow UI. For those with unclear aetiology, urodynamic assessment* can be a useful adjunct in the assessment of UI cases. Intravesicular and intra-abdominal pressures are measured, allowing detrusor muscle pressure to be calculated; any hyperactivity of the bladder muscle wall may suggest an urge UI. Outflow urodynamics can then also be performed, to measure detrusor muscle activity against urine flow rate. For example, the presence of high intra-vesicular pressure with poor urine flow would suggest an overflow UI. For stress UI (or mixed UI), initial management is supervised pelvic floor muscle training (PFMT), which should ideally last for at least 3 months. For those with limited response to PFMT (especially those unsuitable for surgery), often duloxetine (a serotonin–norepinephrine reuptake inhibitor) can be trialled, working to cause stronger urethral contractions. For urge UI, anti-muscarinic drugs can be trialled, such as oxybutynin or tolterodine, acting to inhibit the detrusor contraction. Bladder training should also be offered, ensuring the patient continues this for a minimum of 6 weeks. For those remaining symptomatic despite conservative management, surgical options can be considered. There are multiple possible surgical management options, which one will be used depends on the initial diagnosis. For urge UI, options include botulinum toxin A injections, percutaneous sacral nerve stimulation, augmentation cystoplasty (whereby a detubularised segment of bowel is inserted into the bladder wall to increase bladder capacity), or urinary diversion via ileal conduit. A 38-year-old female presents a year after the birth of her child with urinary leakage on coughing, standing and sneezing. Which of the following would be the most suitable management? Which invasive procedure would you recommend to a patient who presented with stress incontinence who failed to be managed using conservative measures?